It's an inflatable encounter of cosmic proportions! Make your special event even more spectacular with this extra-terrestrial bouncer from beyond the stars! Max occupancy: 5; max weight: 750 lbs. 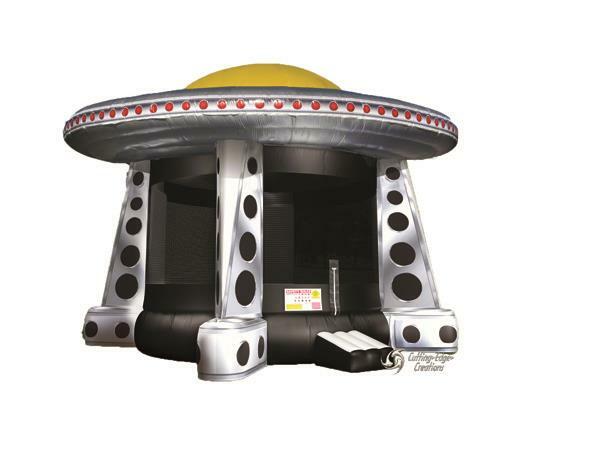 * Please call us with any questions about our inflatable ufo bouncer rentals in Columbia and Jefferson City MO.